Supreme Court nominee Merrick Garland submitted a questionnaire about his credentials to the Senate Judiciary Committee on Tuesday, as he resumes his meetings with senators who can decide his fate. Garland submitted answers to a routine questionnaire for judicial nominees, a step that the Obama administration is continuing to hold out hope will be a precursor to confirmation hearings, even though there have been no signs of movement on the issue from Judiciary Chairman Charles E. Grassley, R-Iowa. "The questionnaire and associated materials present an exhaustive picture of Judge Garland’s distinguished career and impeccable credentials as a nominee to the Supreme Court," White House spokesperson Brandi Hoffine said. "We expect that upon receiving the questionnaire, Senate Judiciary Committee members will do their jobs by reviewing the information, noticing a hearing so that the American people can hear directly from Chief Judge Garland as he answers questions under oath, and giving him a fair up or down vote." President Barack Obama nominated Garland , chief judge of the U.S. Court of Appeals for the District of Columbia, on March 16 but Republicans have been steadfast in insisting the next president should appoint the successor to the late Justice Antonin Scalia. 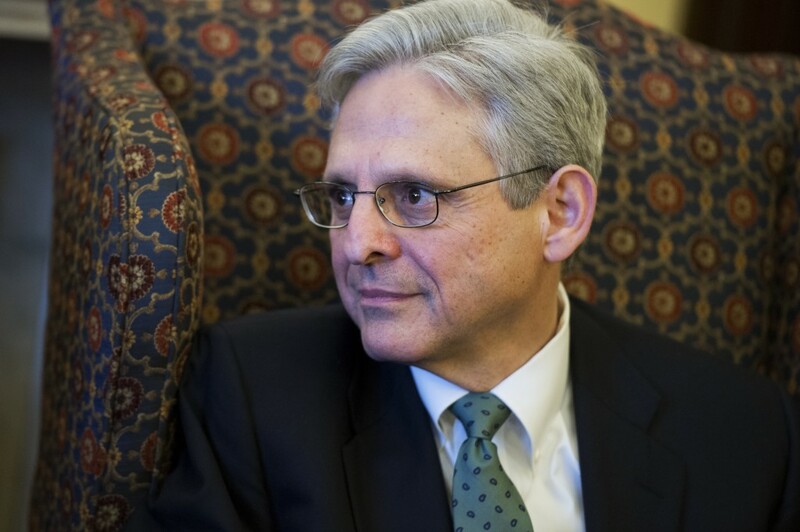 Garland has been meeting with senators from both parties and will resume those sessions Tuesday in visits with Sens. Ron Johnson, R-Wis., and Brian Schatz, D-Hawaii. Johnson, chairman of the Homeland Security and Governmental Affairs Committee, is one of the most vulnerable incumbents on the 2016 ballot. According to a White House official, other meetings are scheduled with Democratic Sens. Barbara A. Mikulski of Maryland, Thomas R. Carper of Delaware, Jon Tester of Montana and Edward J. Markey of Massachusetts. The administration has kept up the pressure in support of Garland, despite fissures among Senate Republican. Advocates for Garland have seized on comments that Sen. Jeff Flake, R-Ariz., made on NBC&apos;s "Meet the Press" saying that if the GOP loses in November, they should move forward on Obama&apos;s nominee. As part of that offensive, Vice President Joseph R. Biden Jr., granted an interview at the end of last week to WLKY-TV, which is a local station in Senate Majority Leader Mitch McConnell&apos;s hometown of Louisville. “The Constitution says the president shall nominate, not may, not if he wants to, shall nominate and the Senate must respond. You don&apos;t have to vote for it, the senators from Kentucky or anywhere else in the country, they don’t have to vote for the nominee. They can vote against the nominee,” Biden said in that interview. Sen. Patrick J. Leahy of Vermont, ranking Democrat on Judiciary, said last month that the committee should send Garland a questionnaire as is customary and that it should be returned by the nominee. Bridget Bowman and John T. Bennett contributed to this report. Contact Lesniewski at nielslesniewski@cqrollcall.com and follow him on Twitter at @nielslesniewski. Get breaking news alerts and more from Roll Call on your iPhone or your Android.